Pengertian dan Contoh Kalimat Relative Adverb Bahasa Inggris – Relative adverb adalah kata keterangan yang digunakan untuk mengawali adjective clause yang menerangkan kata benda pada complex sentence. 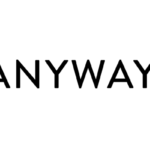 Ada tiga macam relative adverb yaitu: where, when dan why. Where untuk menerangkan tempat (kota, negara, dll). When untuk menerangkan waktu (hari, bulan, tahun, dll). Why untuk menerangkan reason (alasan). 1.I want to go to a place where the place has green scenery. 2.Cika will visit a place where panda is taken care. 3.January is the month when I will celebrate my birthday. 4.I miss the time when my family and I spent holiday in Bali. 5.My brother don’t want me to disturb him when he is studying. 6.My sister always mad when I talk about his ex-boyfriend. 7.I remember the time when my friend and I went to the beach. 8.Sinta was crying when she watched a sad movie. 9.I don’t know why he is suddenly quit from his job. 10.Lila explained to me why she wants to broke up with her boyfriend. 11.I want to know why they hate me. 12.My father told me why he can not buy a new car. 13.Joni knows why his girlfriend don’t want to go out with him at night. 14.I can not understand why he walk out from the meeting. 15.She have no idea why her little sister cries. 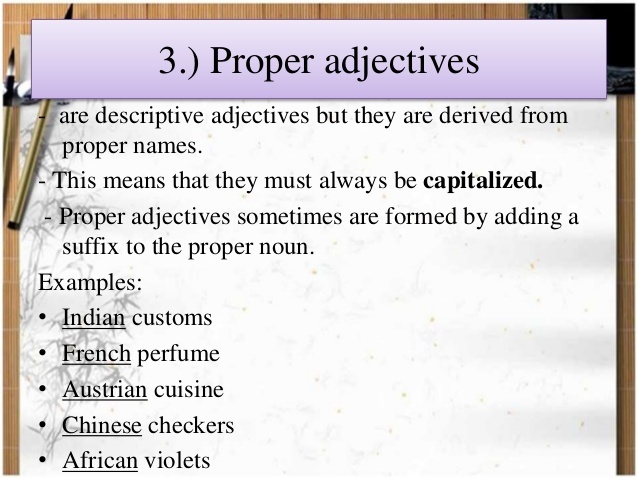 Demikianlah pengertian dan contoh dari relative adverb. Perlu diingat bahwa relative adverb adalah kata keterangan yang digunakan untuk mengawali adjective clause yang menerangkan kata benda pada complex sentence. 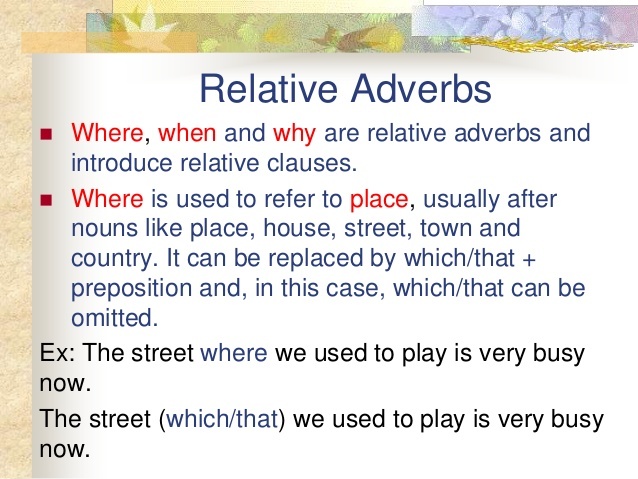 Ada tiga macam relative adverb yaitu: where, when dan why.